The only surviving horse-drawn tram which carried travellers between Pwllheli and Llanbedrog is now on display after being in storage for many years. 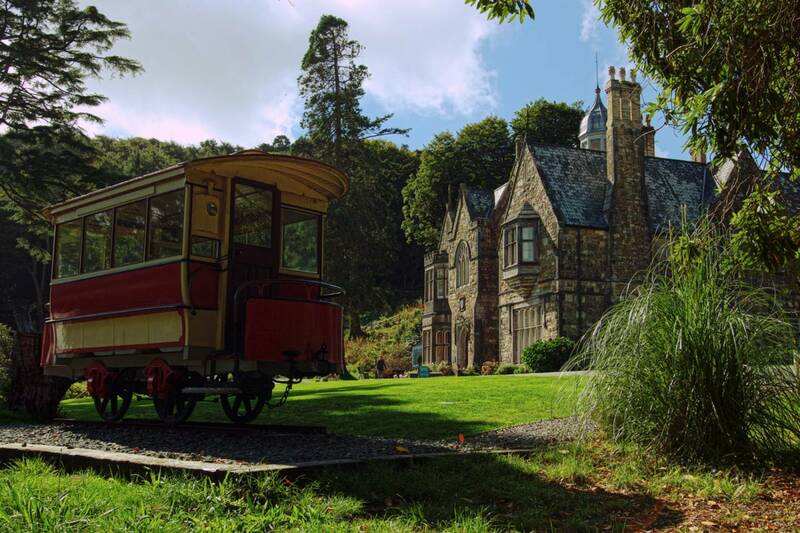 The tramway was established soon after Solomon Andrews purchased Plas Glyn y Weddw and developed an art gallery in the house in 1896. The tramway was used to carry travellers from the town to the mansion which proved to be a popular tourist attraction. The horse drawn tram cars travelled between Cardiff Road, Pwllheli and the terminal situated opposite the church in Llanbedrog to a regular timetable and on a daily basis. As a result of a fierce storm in 1927, parts of the track between Carreg y Defaid and Pwllheli was destroyed. Unfortunately the track wasn’t repaired and the tramway ceased to operate. It can be seen from the old photograph that two types of tram was used, open and closed carriages. It would be possible to attach a horse either end of the tram, negating the need to turn the tram around at terminals. This particular tram was found at a farm in the area in 1967, being used as storage for animal feed. In 1986 this tram was used as a tourist information centre in Pwllheli before being taken to the Steamport Museum where it was completely rebuilt. In 2013 Pwllheli Town Council agreed to a long-term loan of the tram to Plas Glyn y Weddw. Thanks to funding from the Llŷn Area of Outstanding Natural Beauty fund the tram was refurbished in 2013-14. 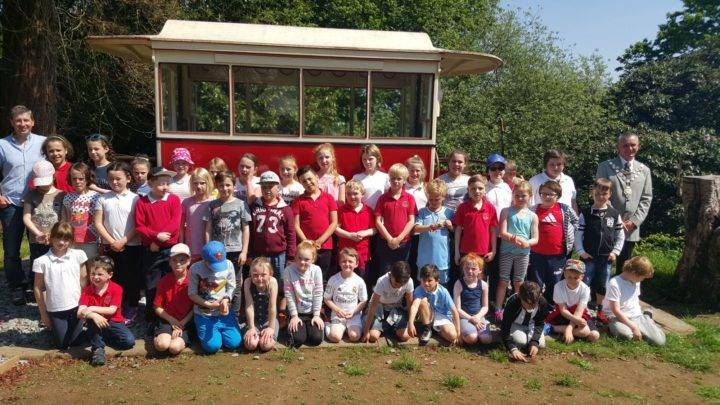 Children from Llanbedrog school recently walked from Pwllheli to Plas Glyn-y-weddw following the trail of the old tramway to celebrate its display in the mansion’s garden.